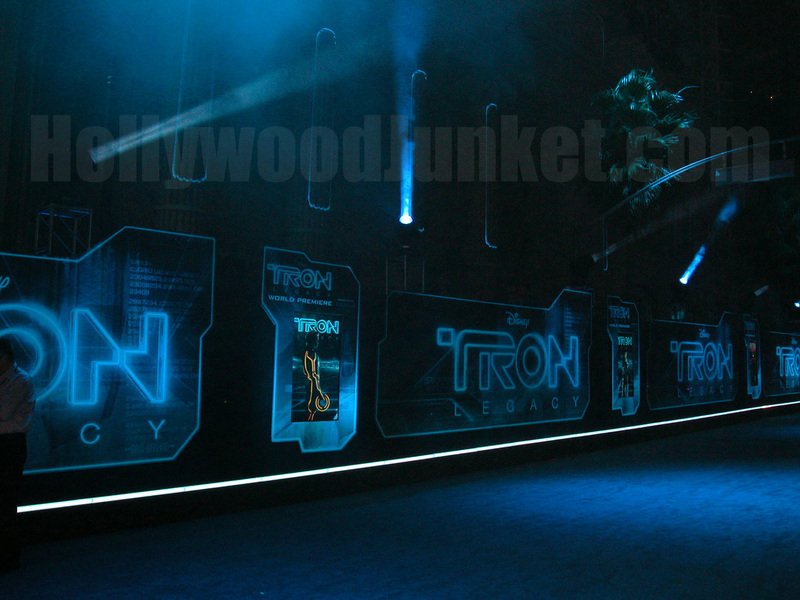 Hollywood, CA – We attended the world premiere of TRON: LEGACY, a continuation of Walt Disney’s TRON released in 1982, at the El Capitan theater in Hollywood on Saturday, December 11th. Beau Garrett at the world premiere of Tron: Legacy in Los Angeles. Disney spared no expense. Talent and media were supplied with cool discs – replicas of the ones seen in the first TRON and this one that hold the lives of individuals surviving life in the grid. Whether you’re a bad guy, a program, or a user – everyone has to have their own vital disc strapped to their backs. 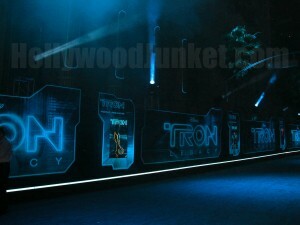 The red carpet was in fact blue and lined with lighted panels reading “TRON” along with digital screens which showed TRON: LEGACY characters and scenes from the film.